For the fourth year, we’ll be hosting May The Fourth Be With You—a day dedicated to all things Star Wars. And this year, we’re taking things up a notch with drone races! 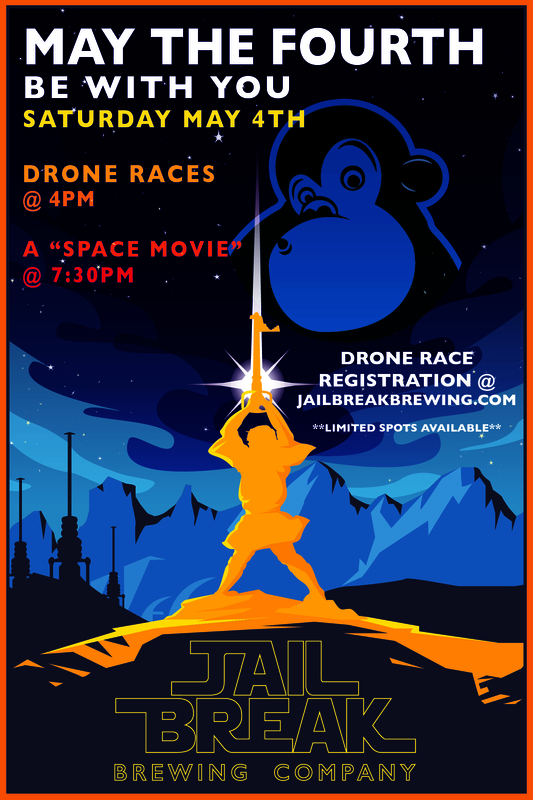 House of KWAD will be joining us in the brewery to host an afternoon of drone racing. Pilot check-in and practice starts at 3 p.m.; the first race kicks off at 4 p.m. Spectators will be invited into the brewery to view the race. We’ll have a “space movie”—we’re pretty sure you know the one!—on the big screen at 7:30 p.m.